Hi-Gest 360 seedings will enter their first full production year in 2016 after a limited launch last winter. 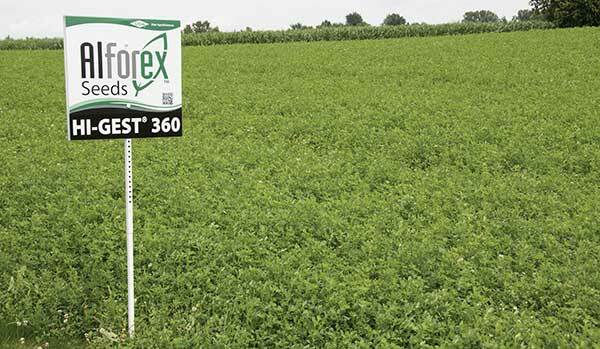 Seed availability for alfalfa producers looks to be in pretty good shape for the 2016 growing season; however, like most years, there may be issues for those who wait to order elite varieties that are in high demand. He notes demand will dictate how tight supplies get as spring approaches. Dan Wiersma, alfalfa business manager for DuPont Pioneer, indicates their seed supplies of non-Roundup Ready varieties will be very good. Says Wiersma, “We had a good production year with high seed quality.” He also anticipates higher inventories of Roundup Ready varieties than was the case last fall, which followed a below normal 2014 production year. Dave Hallberg, Nexgrow brand manager, agrees that seed availability will improve for 2016. “It’s going to be better than the past two years,” he notes. A similar story holds true for Winfield. 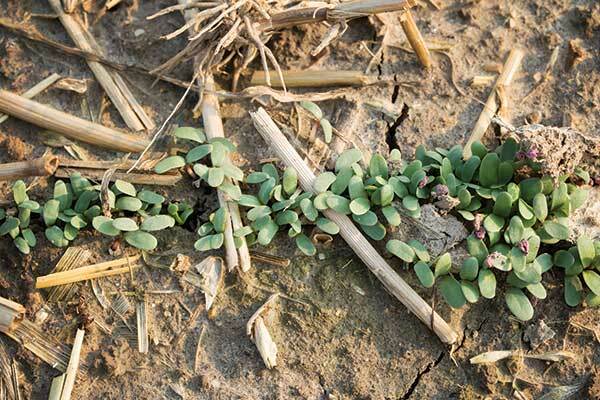 “We have adequate supplies for both our conventional and Roundup Ready varieties,” says Randy Welch, national alfalfa and forage agronomist for Croplan Genetics. He anticipates no significant change on seed pricing for 2016. Monsanto’s product manager, Jon Riley, also confers an adequate seed supply. “With favorable fall weather, seed production has been good, but I’d still suggest early ordering for the popular varieties.” Riley also indicated that Roundup Ready technology fees would increase slightly to $140 per bag in the East and $173 in the West. The seed supply story at Alforex Seeds is “adequate to meet anticipated plantings,” according to Leon Herriod, the company’s marketing manager. Herriod says most non-dormant varieties are in good supply this fall, but elite varieties will likely sell out early. Only modest price increases are expected. The conventionally bred Hi-Gest low-lignin technology was introduced last year and about 10,000 acres were seeded in 2015 from a limited availability launch. This included Alforex’s Hi-Gest 360 (dormant) and 660 (semi-dormant) varieties. Herriod says a full supply of seed will be available for 2016 plantings, but cautions initial indications are for a high demand. Even with a full inventory of seed, he anticipates the supply will be sold out by January. Two new varieties with the High-Gest low-lignin breeding have also been made available this fall. For the southwest U.S., Alforex released AFX 1060, a fall dormancy 10 variety. Mycogen Seeds will also have 4H400 (fall dormancy 4) available on a limited launch capacity. It will have the same conventionally bred, Hi-Gest low-lignin technology as the Alforex offerings. Both companies are affiliated with Dow AgroSciences, and all of the Hi-Gest varieties tout a 7 to 10 percent reduction in lignin compared to standard varieties. The transgenic low-lignin trait, HarvXtra, will also be made available in 2016 but on a limited and targeted launch basis. All six companies that will offer the HarvXtra trait next year have said they will strategically place all or most of the seed based on management factors such as the ability to control harvest timing and segregate the feed. The HarvXtra trait, developed by a consortium that included Forage Genetics International (FGI), results in lignin reductions of 10 to 15 percent. It will always be linked with the Roundup Ready trait technology and each trait will have an associated technology fee. Though the Roundup Ready fee is known, the HarvXtra technology fee won’t be determined until late 2015 or early 2016. Export agreements for HarvXtra are still being negotiated so the initial trait launch will largely (perhaps entirely) be east of the Rockies. This will help to ensure export shipments don’t get contaminated before agreements are reached. This article appeared in the November issue of Hay & Forage Grower on page 22.